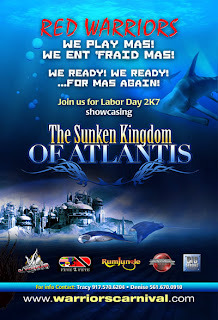 Among the stalwarts for Labor Day Carniva, 2007 will see a new band emerge; Red Warriors presents “Atlantis – The Sunken Kingdom“. Labor Day 2011…. Antics Yuh like!